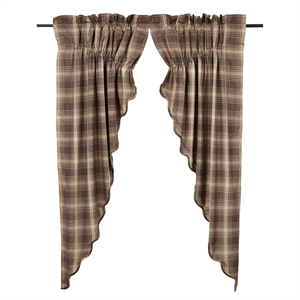 Window Treatments > Window Top Treatments > Valance Curtains > Dawson Plaid Swag Curtain Set - Lined! 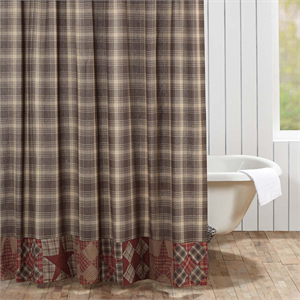 Dawson Plaid Swag Curtain Set - Lined! 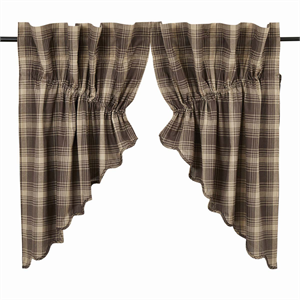 Dawson Plaid Swag Curtains (pair) Complete the lodge look with the soft, all-cotton window topper featuring dark woodland brown and khaki plaid with a classic scalloped edge. 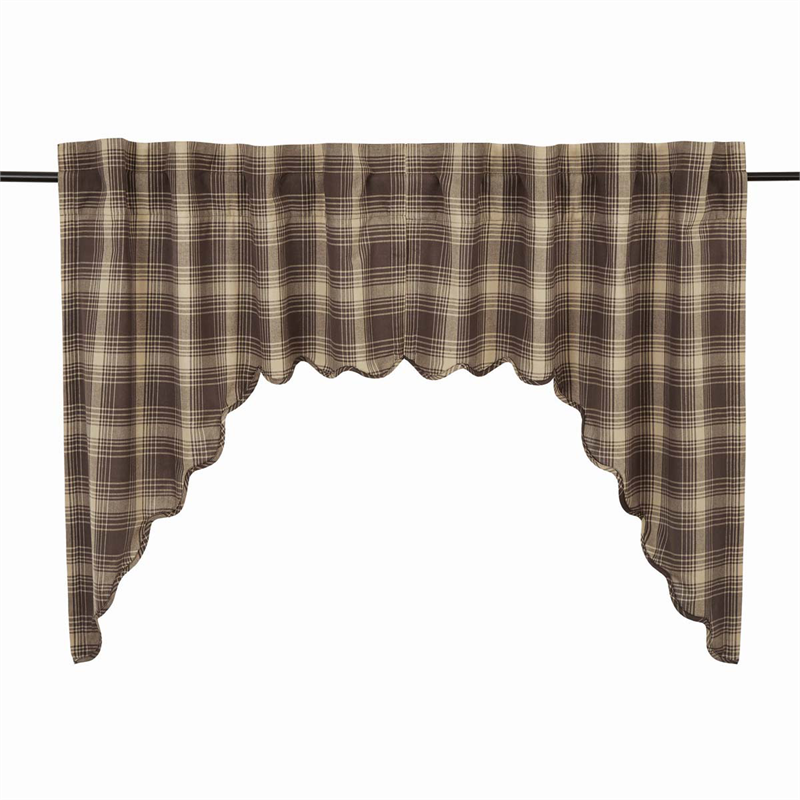 Swags have a 16" center drop to coordinate with valances for wider windows. The toppers are lined with white cotton. For proper fullness, order approximately 2x the size of the window. For example, you will need to use a minimum 72" width curtain(s) to properly fit a window measuring approximately 36" in width. If your window is larger, consider wider panels. CARE:Machine wash in cold water with like colors, gentle cycle. No chlorine bleach. Tumble dry low, remove promptly. Iron if needed. 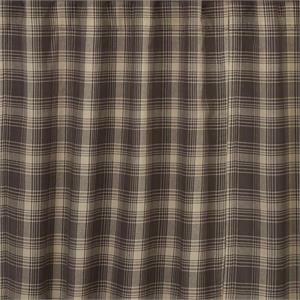 We have a complete selection of curtain rodsfor your curtains. If this item may not be currently in-stock, we replenish this item bi-weekly. If not in-stock, you may have a 10 day wait for this item to ship. In-stock items ship within 48 hours. Your credit card will not be charged until your order is shipped. We will notify you by email of your ship date. 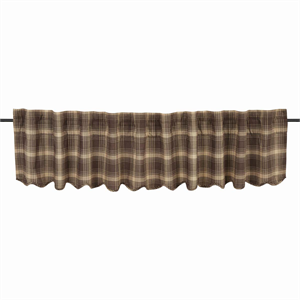 If you need this item by a certain date, please email customerservice@bestwindowtreatments.comfor the latest inventory information. We will respond within 24 hours. 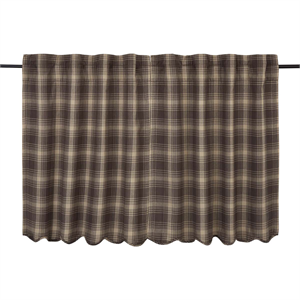 Dawson Plaid Prairie Curtain Set - Lined! 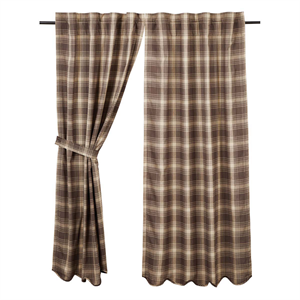 Dawson Plaid Prairie Swag Curtain Set - Lined! 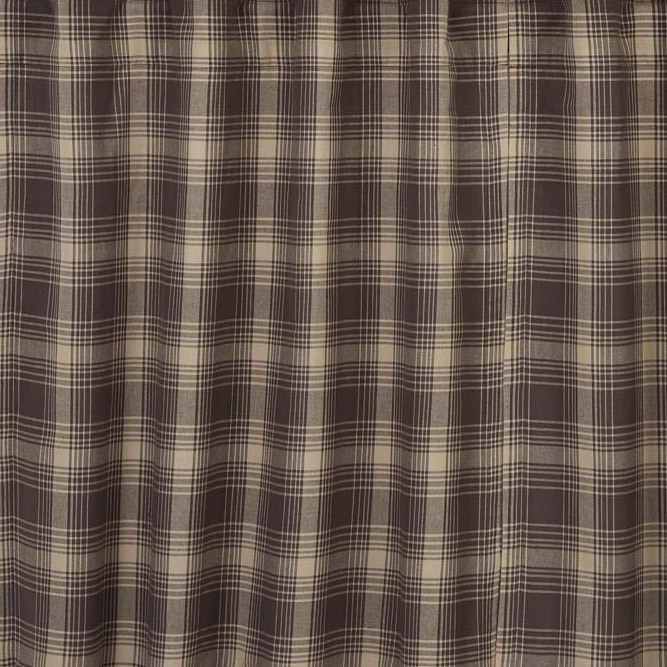 Dawson Plaid Tier Curtains - Lined! Dawson Plaid Valance Curtain - Lined!